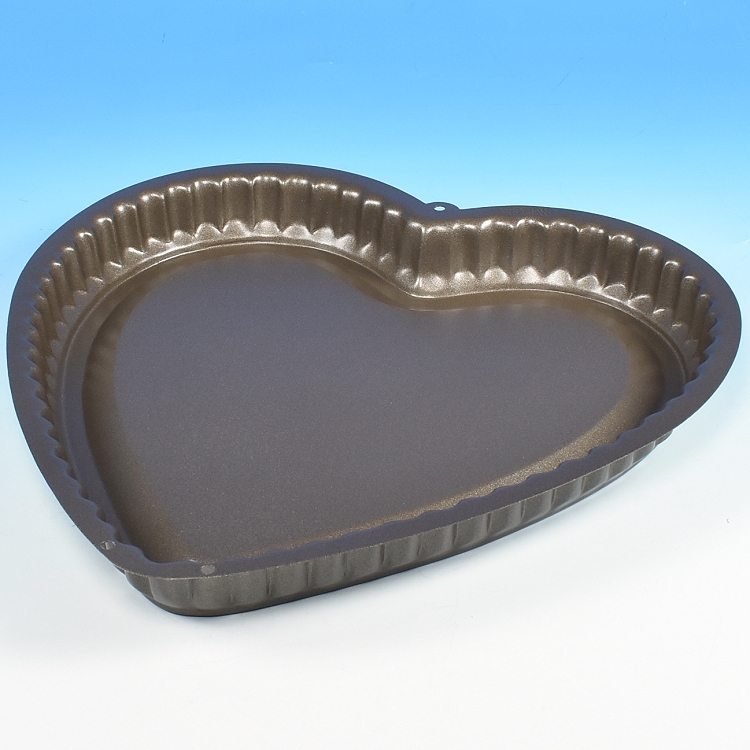 Heart Shaped Tart Pan, for creating a beautiful tart with fluted edges. 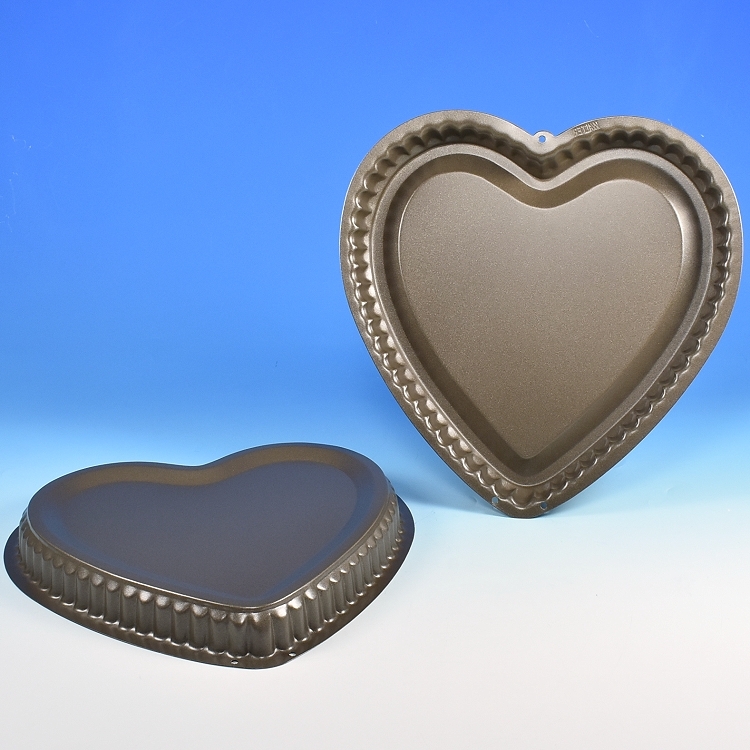 Professional-grade metal baking pan finished with a durable non-stick coating. Inside width 10 1/2", inside length 11", inside height 1 1/4"